Trade, technology, and services— the Middle East’s ports are taking an all-rounded approach to the tasks at hand. Containerisation and port privatisation have fundamentally changed the market environment that shipping lines and ports operate in. Shipping lines seek dedicated container terminals in ports, with the aim to support their objective of widening their scope in the supply chain. All of the GCC countries have been investing heavily in ports and logistics facilities, with Expo 2020 in Dubai, Saudi Vision 2030, and Oman Vision 2040 viewed as key drivers, and these have caught the attention of international investors, in particular from China. In July 2017, Abu Dhabi Ports signed an agreement with the Jiangsu Provincial Overseas Cooperation and Investment Company Limited (JOCIC) for the latter to occupy and develop approximately 2.2sqkm of the available free zone space in Khalifa Port Free Trade Zone. A total of 15 companies have since signed lease agreements for land with investments totalling $1bn. From online booking tools to lock scheduling systems, today’s ports have a wide range of these technological tools at their fingertips – all with the goal to improve safety, accessibility, and efficiency. The Middle East’s ports are no different. “Technology used in APM Terminals continues to evolve to match with the changing operational, safety, and customer needs,” mentions Hardiman. “We have assets in our portfolio terminals which employ a high degree of automation, some being almost fully automated. In Bahrain, we are constantly assessing which of this technology makes sense for us, and indeed some systems have been developed and even pioneered by us locally with global support from our HQ – an example being our Load Collision Prevention System (LCPS) which prevents container knock downs in container yards which has statically been one of the most dangerous places in container terminals. Since the inauguration of Khalifa Port in 2012, Abu Dhabi Ports’ flagship port has been recognised as one of the most modern and technologically advanced ports in the region as well as being a success story as one of the UAE’s world-class infrastructure projects. Maqta Gateway, a subsidiary of Abu Dhabi Ports, offers ports, exporters, importers, shipping lines, customs and government agencies a single point of contact and real-time information at any time of the day significantly enhancing processing times and communication procedures. The system helps ensuring smooth transport and logistics operations using the latest technologies such as blockchain which acts as an open digital ledger that can be used by trade actors to record and extract details regarding transactions with greater security, transparency and efficiency. As the shipping and logistics industry rapidly adopts new technologies, disruptive technologies such as blockchain can offer trade community members significant benefits. According to the World Economic Forum, potential savings range from 20% of the total physical transportation costs, amounting to $1tn addition to global trade. “Through our subsidiary Maqta Gateway, we are working to get ahead of the curve. We have developed and launched our own blockchain technology – Silsal. Through Silsal we will be offering the trade community secure and integrated access to blockchain technology, with the added value of cost and time savings through real-time track and trace, reduction in paperwork and ease in extracting vital information to receive live updates. Cargo handling methods have evolved over the years. Technical developments, including the introduction of increasingly sophisticated cargo-handling equipment with greatly increased capacity and reach, has played a noteworthy part. 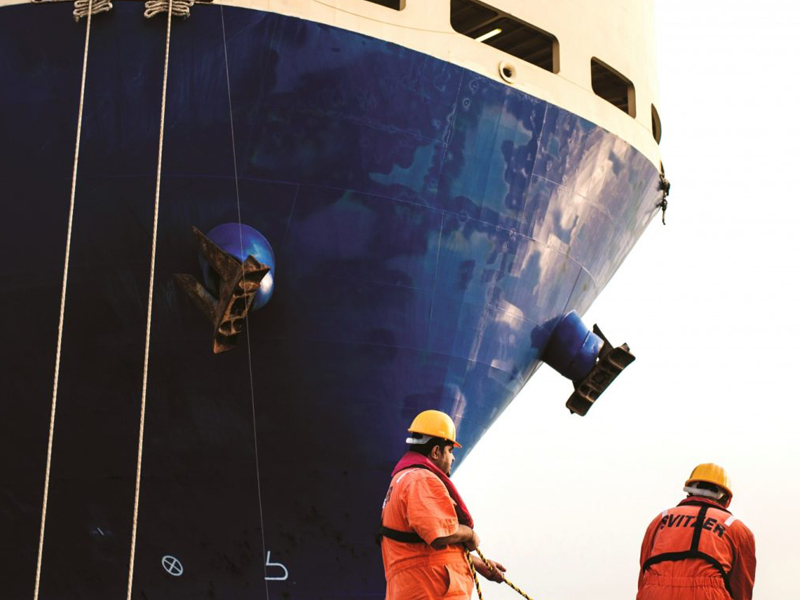 While many of these changes have resulted in significant improvements for the safety of port-workers, some changes have introduced new hazards and port work is still regarded as an occupation with very high accident rates. In 2017 alone, more than 42,000 hours were dedicated to training staff at the port, to help keep them safe and the port fully operational. As a consequence of these collective efforts, Khalifa Port recently announced that it had recorded over 8.6 million consecutive man-hours of productivity without lost time incident (LTI). Beyond Khalifa Port, Abu Dhabi Ports has delivered a similar reduction in LTIs across its operating units. Since 2014, they have reduced their overall LTI frequency rate by 86% from 1.43 to 0.19. 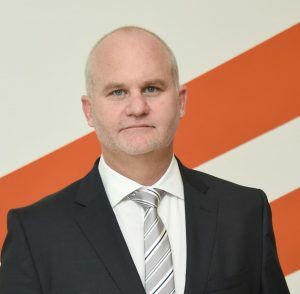 Hardiman highlights that the APM Terminals team strongly believes that safety is a value rather than a priority which can never be compromised. “Ensuring safety of our workers and port users are of paramount importance to us. This is accomplished through extensive ongoing awareness campaigns, safety meetings, learning from incidents around the globe, engagement with various stakeholders, making it part of the objective setting, management safety walks and encouraging incident, observation and near miss reporting with a focus on empowering employees. Hardiman adds that APM Terminals has a continuous improvement function that constantly looks for improvements in efficiencies and reducing downtime apart from their crisis management plans which are already in place and gets updated. 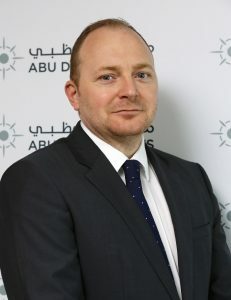 Thompson believes that Abu Dhabi Ports offers a strategic location for efficient transhipment options and an excellent platform to serve the entire Gulf Region, the Indian Subcontinent, the Red Sea, East Africa, and other neighbouring countries for their partners thus driving investments in and out of the UAE. Hardiman highlights that with the changing customer demands, APM Terminals intends to further develop our landside customer strategy together with their shipping line customers by creating value for all stakeholders. “This is accomplished through offering more value-added services to end users or landside customers, which is today performed outside the port adding cost and time. We want to add value to our customers by reducing their costs and simplifying their supply chain. The assessment on the area mapped out for Khalifa Port prior to its construction showed that the planned location would have left a footprint directly over the reef. To avoid negative impact on the reef, Khalifa Port was developed on an artificial island that is 4km away from the mainland, using dredged material to protect the environment, thus reducing the ecological footprint and changes in water temperatures. The company invested AED880mn to build an 8km breakwater as well as a trestle bridge in order to not interrupt vital tidal flow across the coral reef.